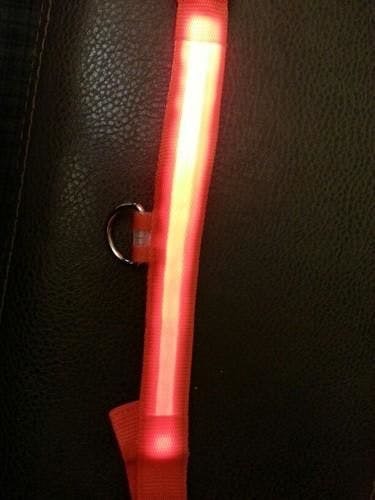 Walking your beloved pet at night has just gotten safer. 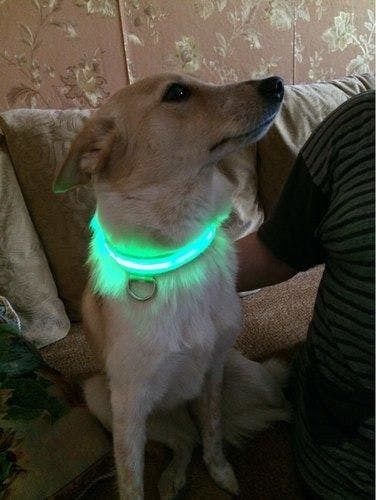 Introducing our best-selling Premium Glow-In-The-Dark LED Safety Collar which lights up your dog and keeps him (or her) safe and very visible! 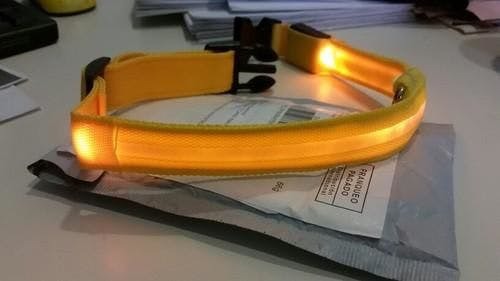 With a simple on/off button and options for solid or flashing light, our Safety Collar glows brightly with its strong LED technology. 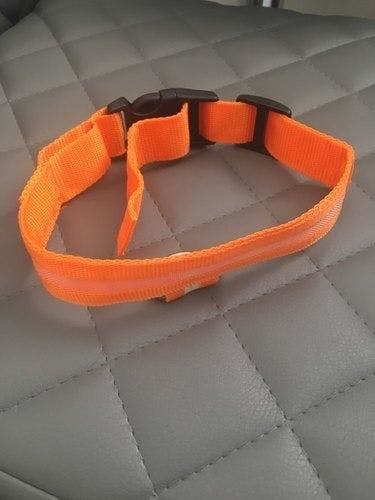 Our super bright LED safety collars can be seen from more than 250 meters away. It is also water resistant and lasts up to 80 hours before a battery change is needed. Keep your pet safe in parks or from accidents with cars and pedestrians. Grab one while supplies last! Great quality and bright lights! Received fine. Packaged well. Works great. Easy to keep an eye on my dog when she's out in the yard. Great protection when walking her in the evening. Brighter than I thought it would be. 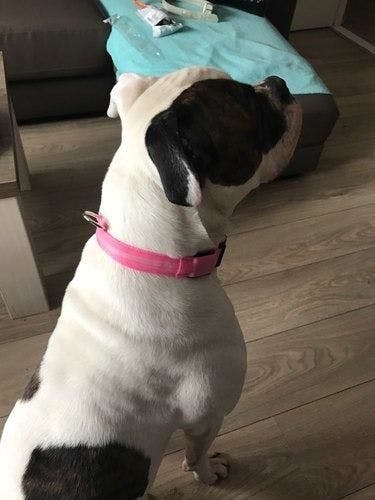 Really like this collar. My dog and I can easily be seen at night. Highly recommend.